Go offshore aboard a 40ft. 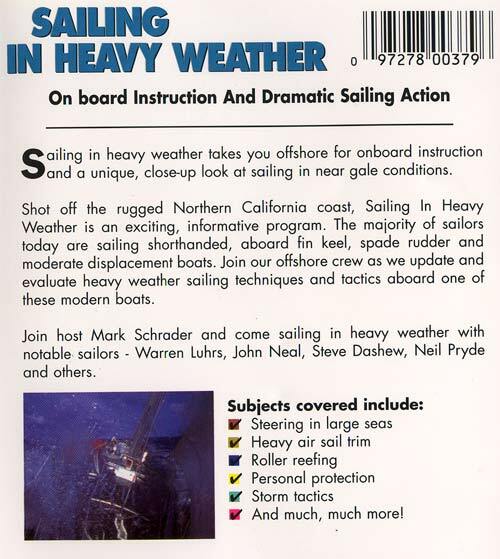 sailboat for an exciting look at heavy weather sailing techniques and tactics. Join Warren Luhrs, Steve Dashew, John Neal and other top sailors as they talk about steering in large seas, heavy air sail trim, personal protection and storm tactics. 68 min.